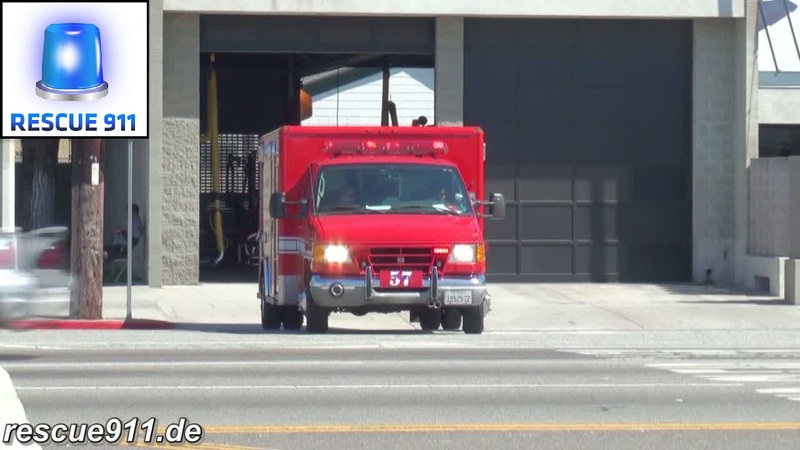 Rescue 57 (paramedic ALS ambulance) of the Los Angeles Fire department responding out of fire station 57 to a call. Note the vehicle that does not yield to the ambulance. 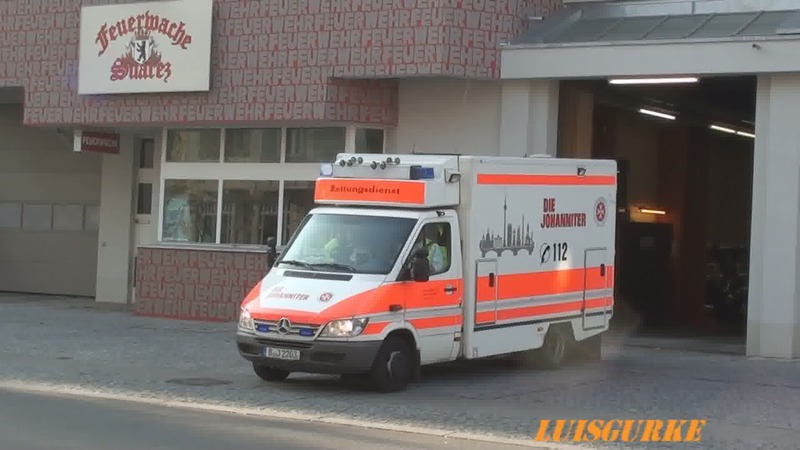 Rettungswagen 57 der Feuerwehr Los Angeles rückt aus zum Einsatz.